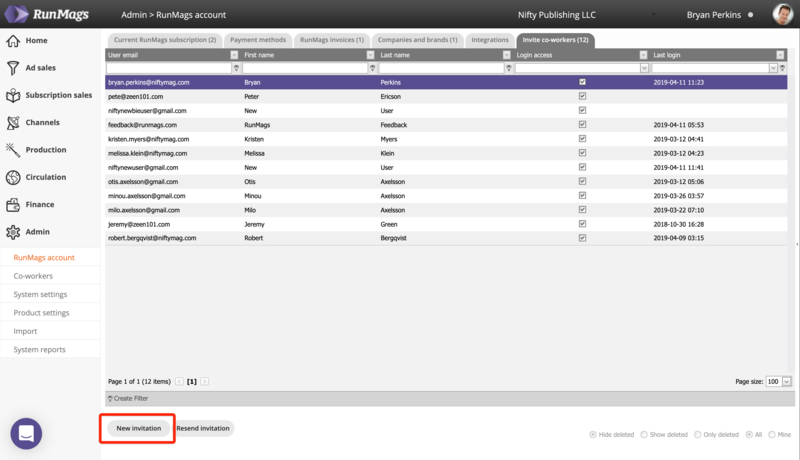 A user with Administrator rights can add new users in Account settings in the navigation menu on the left. In order to add a new user, go to the fifth tab named Invite co-workers and click the New invitation button on the lower left corner to add/invite a new user. In the pop-up form, enter the user's email address their first and last name, then click save. This will send an invite email to the user so they can login to RunMags.